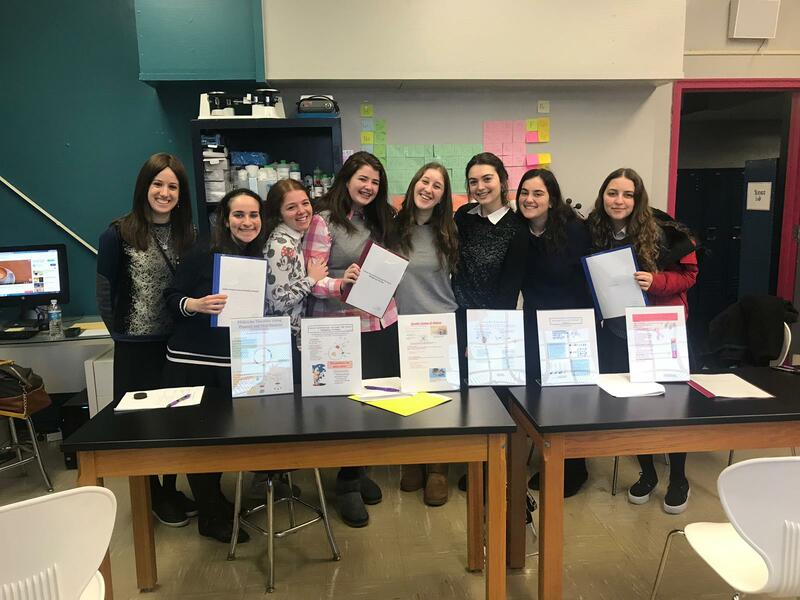 Eleventh and twelfth grade genetics students at Shulamith High School for Girls participated in a Genetics Research Fair, presenting their term projects for faculty members and peers. Under the guidance of their teacher Tzivia Brandwein, students experienced the process of building an academic research paper, interviewing experts and consulting primary resources. At the fair, students showcased their findings, sharing developments and horizons in areas such as neurogenetics, molecular genetics, immunogenetics, cancer genetics, and medical genomics. 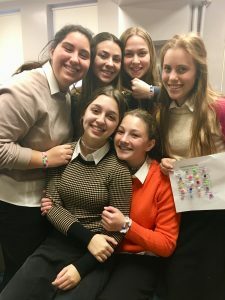 Shulamith High School eleventh and twelfth graders in Mrs. Gross’s nutrition class explored amino acids and the proteins they make by creating protein bracelets. Chevi Charlap, current Shulamith senior, said, “We really enjoyed discovering how 20 monomers can yield hundreds of thousands of different types of polymers. It was so cool to see proteins come to life.” After the project was completed, the students exchanged and gifted each other protein bracelets based on their functions, such as health, support, strength and wellness.